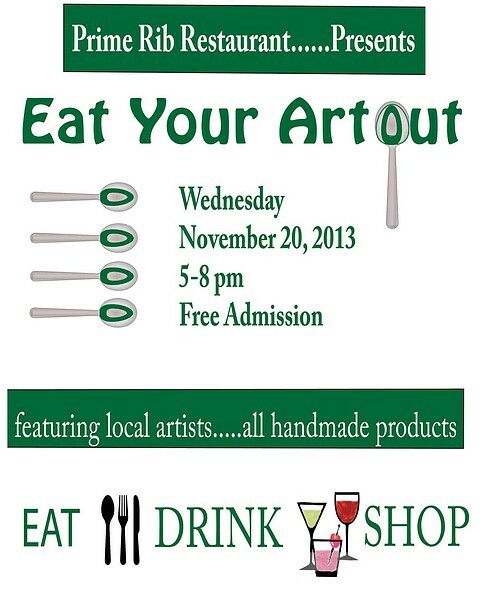 The 4th annual "Eat Your Art Out" will be at the Prime Rib at 17th and Locust Streets, Philadelphia, on November 20. From 5 pm to 8 pm, 15 local artists will be exhibiting their handmade work in the private dining room. Come see my work, as well as that of the other talented artists, and enjoy hors d'oeurves and a glass of wine.